Buying a hotel is a complex process with a lot of moving parts. From the moment a buyer begins to evaluate the opportunity to the day the deal is closed, hundreds of details must be assessed, negotiated and locked down. 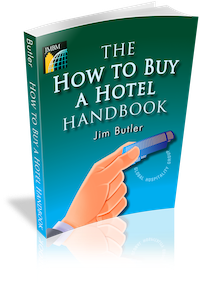 The How to Buy a Hotel Handbook provides a detailed overview of the hotel acquisition process, a thorough due diligence checklist for the buyer, and informative articles that address some of the most important issues that arise when buying a hotel. This easy-to-read Handbook is FREE from the hotel lawyers at JMBM's Global Hospitality Group® and will be a useful reference for a wide cross-section of the hospitality industry, from veteran dealmakers to hospitality students. You may download your free copy after completing and submitting the registration form below. By downloading, you agree that you will not give your download or printed copy to others. This copyrighted publication is available legally to anyone who registers and downloads. What is your current interest or involvement with hotel acquisitions? Would you like a JMBM attorney to contact you?